Home / Blog / What is a Gacha Mechanic? What is a Gacha Mechanic? Gachas (also Gashapon) are basically lottery style mechanics found in many modern game concepts, mostly in mobile games. In fact, this style of “random reward” is part in RPGs since their earliest days – in the form of random loot drops and loot tables. Even the very first pen-and-paper RPGs featured a Gacha Mechanic of some sorts, represented by treasure tables and random treasure rolls. In itself, such a mechanic is nothing bad – as it adds the excitement of uncertainty through a luck factor to the game. My CGE project will also feature such a Gacha Mechanic, in form of loot drops, loot crates, treasure tables and random treasure. But, the modern interpretation of Gacha goes much further, blurring the line between game and gambling. 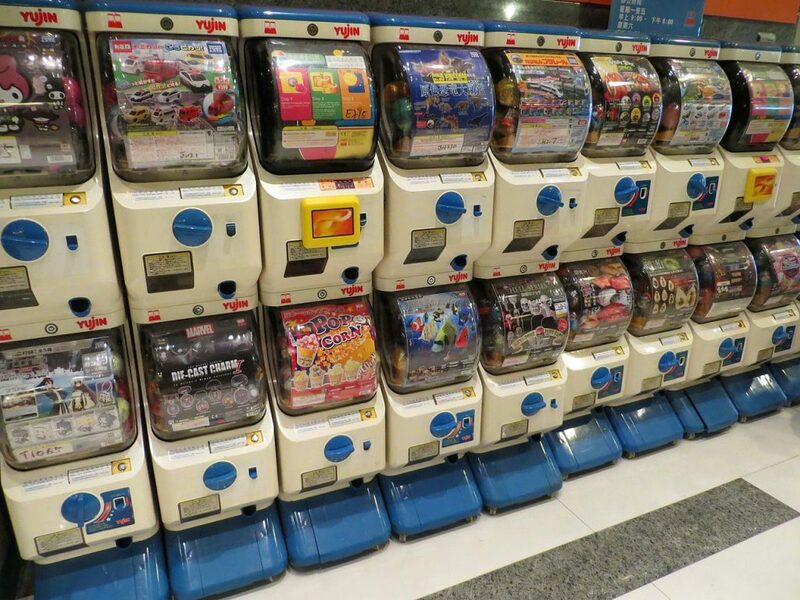 The word Gacha originates from the sound that japanese toy machines make, when you turn the handle. These machines are quite common all over japan and we have seen them as well in the US and europe during the late 90s. Usually, those machines contain collectible figures in a small plastic egg. Receiving such a miniature requires money and a turn of the machines handle. The delivered figure pops out of the machine at random and is always part of a larger set. One of the main factors is that players try to collect the whole set of available miniatures. Exactly this kind of mechanic has been transferred to free-to-play mobile games. It first appeared in japan, but is nowadays common in almost all F2P titles – also from Europe and the USA – in addition to Japan, China and Korea where this concept is widely accepted since years. One of the core mechanics within the Gacha Mechanic is, that some of the miniatures mentioned above are rarer than others. This requires the player to play the Gacha game multiple times in order to get the right figure and complete his or her set. As each use of the Gacha requires money (either ingame or real currency), the Gacha Mechanic is a real money-sink but also one of the main motivational drives for a F2P game. So we have defined two main aspects of the Gacha, that add a strong monetization feature to any F2P game: Randomisation & Rarity as well as Set Completion. Especially rarity – when cleverly designed – can get the most out of the Gacha, as it adds the mystery and intrigue to the user-experience. Among the many on-par or sub-par miniatures a player will get, a super-rare figure every now and then rewards the player even more and is very satisfactory. Nowadays there is more to the good old Gacha, as design studios do their best to get the most out of the mechanic. The so called “Kompu Gacha” (Complete Gacha) is one example, where set collection relies on multiply Gacha completions in order to get the grand-prize (I can recommend this article if you want to get some more information about it). As said earlier: Gachas blur the line between gaming and gambling. The Kompu Gacha has even been banned in Japan for some time. Personally Im strictly against any kind of gambling mechanics in games, but cleverly used, Gachas add a lot to it (in form of the good old loot tables). I would like to add, that gambling in my country is only legal to people of 18 years and above. But games are generally available to kids and adults alike. There is a lot to be deserved as our state simply sits in indolence while gambling mechanics are sweeping the app stores and with them, the potential risk of addiction to mechanics like Gacha. Previous post: What is Click-and-Wait? Next post: What is a casual MMO?